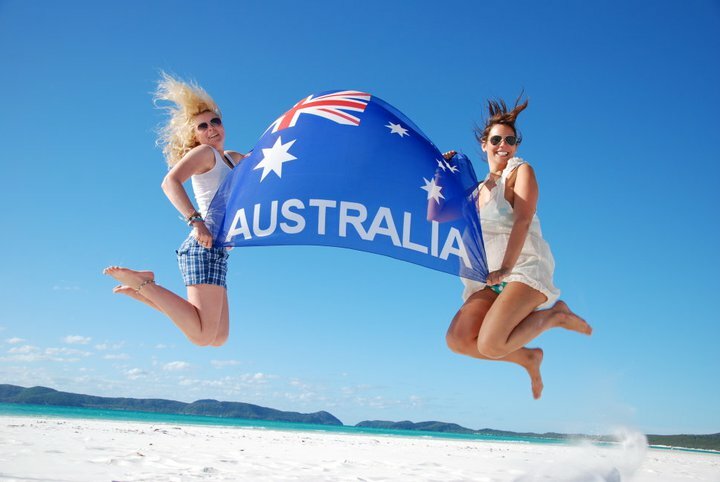 Australia is one of the most popular travel destinations in the world. No matter you are looking for a temporary escape from your hassle life to backpacking, camping or country living experience or just want to work and visit the country, Australia would not disappoint you. Australia is filled with incredible natural beauty from outback, rainforests and beaches to iconic places likes Sydney Harbour Bridge, Opera House and cultural buildings. If you want to visit Australia, you need a visa to enter the country. If your purpose is a short stay to visit the country such as holidays, sightseeing, social or recreational reasons, to visit relatives, friends, to be a business visitor or for other short-term non-work things like medical treatment or medical consultations. You should apply for a visitor visa. This visa lets you visit Australia to visit or for business visitor purposes for up to three, six or 12 months. You can extend the stay over 12 months if you have exceptional reason. Other visitor visa subclasses include ETA, eVisitor and Medical Treatment visa. The applicant must be at least 18 but not yet 31 years of age who do not have a dependent child with them at any time during the stay in Australia. -leave and re-enter Australia any number of times while the visa is valid. – In aged or disability care, fishing, forestry, agricultural, construction, mining, tourism or hospitality industries in Northern Australia and includes those areas of Western Australia and Queensland above the Tropic of Capricorn. For people hold a passport of Argentina, Bangladesh, Chile, China, Hungary, People’s Republic of Indonesia, Israel, Luxembourg, Malaysia, Peru, Poland, Portugal, San Marino, Singapore, Slovak Republic, Slovenia, Spain, Thailand, Turkey, USA, Uruguay and Vietnam. – Currently initiate allowing application for up to the maximum two times of the visa. – Can apply up to the maximum two time of this visa. The applicants are qualified to apply for the second working holiday visa (only for those who have completed three months [88 days] of specified work*) can be made in or outside Australia. If you apply in Australia, you must be in Australia when the visa is granted. If you apply outside Australia, you must be outside Australia when the visa is granted. *“Specified works” basically means the below works carried out in regional areas in Australia. -(b) conducting operations relating directly to taking or culturing pearls or pearl shell. After you work in Australia by working holiday visa, you have gained the Australian working experience. It provides you advantage for applying further work, employer sponsored or skilled migration visa for staying in Australia in future. Please contact us for a consultation about your options for staying in Australia.